Bibio is English musician and producer Stephen Wilkinson. Bibio is currently signed to Warp records and will be releasing his 7th studio album in April this year. Bibio studied Sonic Arts at University in London between 1999-2002, it was during this time he started to shape a unique identity as an artist and started working under the Bibio name. His early works were lo-fi and experimental in nature, combining looped guitar phrases, algorithmic synthesis, field recordings and other experimental recording techniques. Analogue tape, particularly cassette and microcassette, were heavily used on his first few albums on LA label Mush Records, but is still heard as part of his signature sound on his more recent output, although his releases on Warp are significantly more hi-fi in nature, using more reel-to-reel as well as cassette. 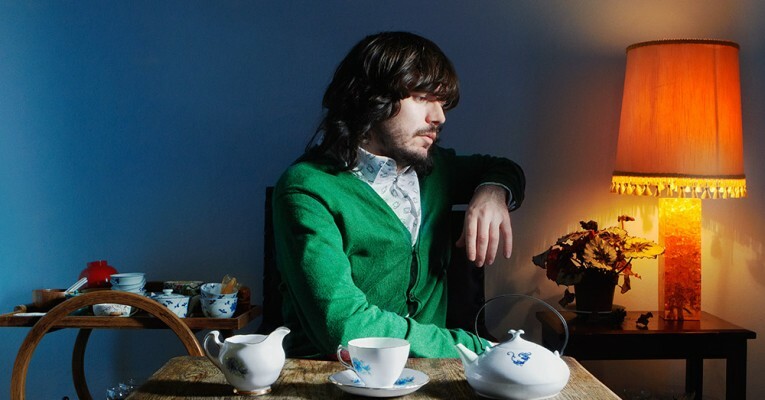 Bibio’s output since signing to Warp in 2009 is very varied in style, covering Hip Hop, Funk, Disco, Folk, Rock, R&B, ambient and Electronic music styles. Bibio is a multi-instrumentalist and also a keen photographer, creating or directing his own album and EP sleeve artwork. Bibio has also shot, directed and edited his own music videos, collaborating with Russell Weekes and Michael Robinson on several videos. Bibio’s approach in the studio is mostly using analogue and hardware equipment, often processing sounds to reference 60s, 70s and 80s recording qualities. Although he records on a computer, he favours analogue processing and acoustic and electric instruments, as well as analogue and digital hardware synths, hardware samplers and drum machines. Bibio’s main instrument is guitar, but he also plays bass guitar, keyboards, percussion, alto saxophone and more recently drums on his own tracks. Bibio’s music has evolved considerably over the last 11 years since his debut ‘Fi’, moving more towards songwriting, where his own vocals are becoming more and more prevalent with each release. Bibio’s music has been used quite extensively in TV, film and advertising. In 2014 he wrote the original soundtrack to director Jason Reitman’s film ‘Men, Women & Children’. Bibio has also officially remixed many artists including Gotye, Clark, Boards of Canada, White Lies, Bombay Bicycle Club, !!! and Noah & The Whale. Bibio will release his new album ‘A Mineral Love’ on Warp Records on April 1st 2016. For the first time Bibio has invited guest artists to appear on an album. Gotye and Olivier St Louis appear as featured vocalists and Wax Stag features as a guest with his distinctive and colourful synth melodies.We’re very pleased Bibio made a special piece for the 80 speaker acousmonium for this years FAQ Festival.